Within his depiction of glittering planets, David Servan-Schreiber explores his personal relationship with faith. Raised in a household deliberately deprived of religion, Servan-Schreiber entered adulthood with the acceptance that life without spirituality is hell. The London-based French artist presents to us a variety of anonymous planets against richly coloured backgrounds. 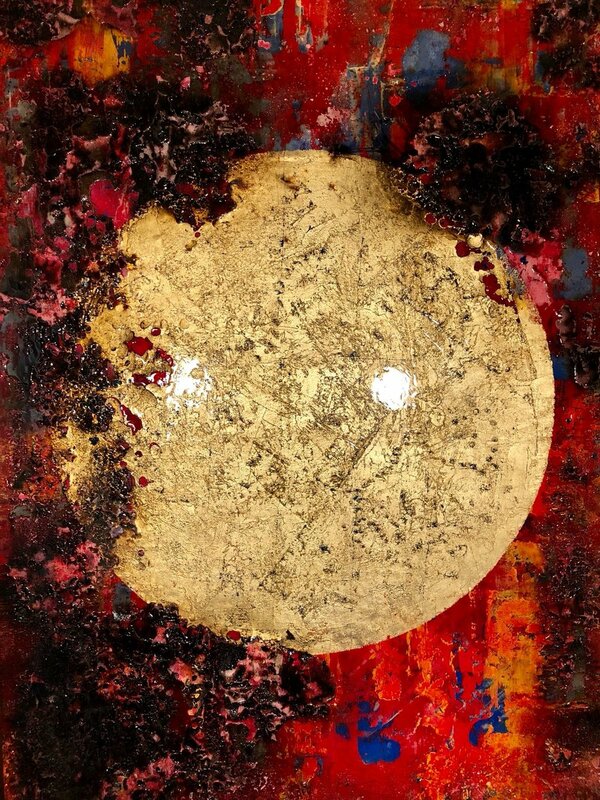 As Servan-Schreiber has no religion, he believes that it was the planets that gave us life, thus, his work serves as a tribute to the celestial elements which ignited faith in him as an adolescent and continue to inspire him as a painter today. Environmentalism is also an important aspect of Servan-Schreiber’s life and work. In his latest series, he tackles the topic of deforestation and climate change head-on. Through the medium of fire, he confronts humankind’s tendencies to destroy and burn our beautiful earth. 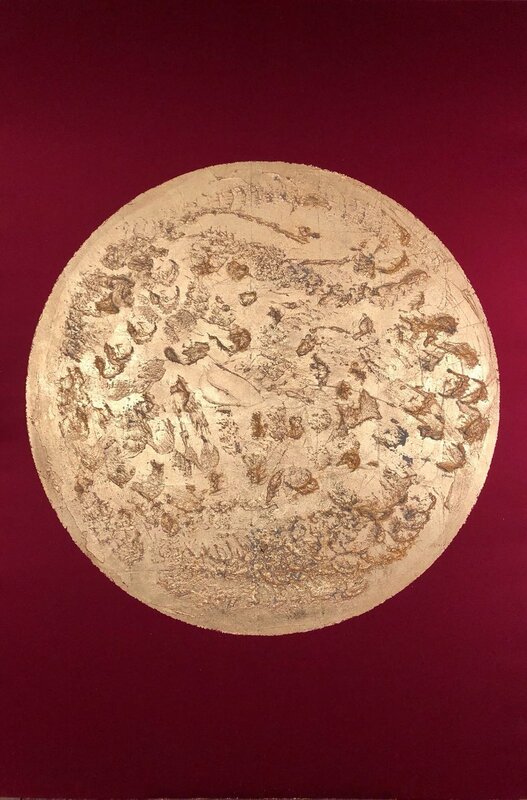 Servan-Schreiber’s use of gold leaves on his planets is a hark back to the ethereal qualities of Christian Orthodox icons, recalling man’s struggle and attempts to depict intangible divinities. This subversion of religious iconography raises questions about whether the discovery and colonisation of inhabitable planets will result in the death of earthly religions. The symbolism and otherworldly ideas that are now deeply tied to astronomy leads to these nameless planets evoking within us our continual need for spirituality.